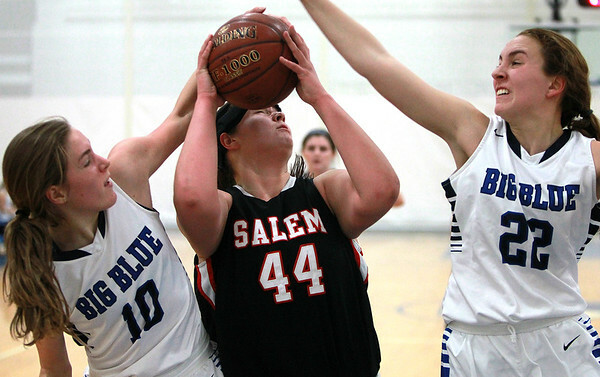 Salem senior forward Jaclyn Panneton (44) tries to get a shot off while being defended by Swampscott's Ella Parker (10) and Sam Rizzo (22). DAVID LE/Staff photo. 1/20/15.